Secluded homes & condos. Generous lot sizes. Middle of Everything. The history of this unique island and its real estate parallels the growth of South Florida, revealing the limitless possibilities of this unmatched destination. Before 1900, what used to be a small clearing in the mangrove swamps of Indian Creek overrun with alligators, now abundant with prime homes and condos promises a tropical lifestyle unsurpassed by any community anywhere. 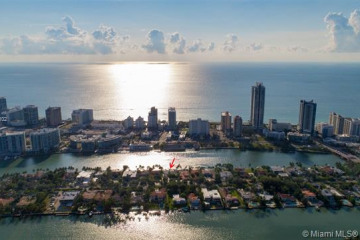 Discovered by legendary real estate developer Carl Fisher, Allison Island was destined to be smaller yet equally beautiful compared to the Miami Beach barrier island he had set out to create. Built in tribute to his friend and business partner Jim Allison, the island Fisher created however, remained undeveloped for several years. After numerous failed real estate ventures under Allison’s ownership, Jim finally opened the first luxurious and state-of-the-art hospital on the tip of the island in 1926, intended to serve the wealthy homeowners who had flocked to Miami Beach. Unfortunately the hurricane of 1926 ended the real estate boom in South Florida and Allison’s hope of profitability. The Sisters of St. Francis eventually took over the struggling hospital serving the community for the next six decades. It wasn’t until the late 1990s that Allison Island became one of the most industrious redevelopment projects featuring upscale condos and homes in recent South Florida history. Purchased by pioneering real estate developer Carl Robins, this 8.5 acre private island transformed into a modern and enlightened tropical paradise that would offer discerning residents a unique urban lifestyle. He begin the monumental task of bringing renewed purpose and glory to the Island with his development firm Dacra, an assembled team of renowned artists and architects. Today Allison Island is a haven in the middle of Miami Beach. Ideal for boating enthusiasts, most properties have large lots and great waterfront footage.